Renew is our all-natural, liposomal, chirally correct “level four” anti-aging serum that contains ingredients that are proven to dramatically improve the skin. Restores dermal thickness, remodels scarring from photodamage, increases skin’s nutrient and immune support, protects skin from UV rays, restores the epidermal barrier, hydrates, normalizes oil, clears acne, reduces fine lines, shrinks pore size. The key to renewed skin is quality and scientifically-proven ingredients that work synergistically to heal and protect. That’s why Osmosis MD Renew, as their top level Vitamin A serum has paired the best skin repair and protective ingredients together in a finely balanced skincare product. As an all-natural liposomal and chirally correct anti-aging serum, Osmosis MD Renew works to help reel back time. We suggest you begin your skin care journey using either Calm or Correct, as Osmosis’ lower level Vitamin A serums they prepare your skin for the super restorative powers of Renew. It restores dermal thickness, remodels scarring from photodamage, increases the skin’s nutrient and immune support, and protects the skin from UV rays. Not only that, but it hydrates, normalises oil, clears acne, reduces fine lines, and shrinks enlarged pores. These renewing and rejuvenating results are owed to the list of powerful ingredients in this Osmosis MD Renew serum. Vitamin A is used heavily in this product as it repairs skin cells and encourages healthy cell production. 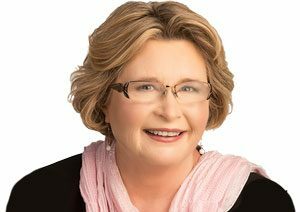 As one of the most powerful age-reversing ingredients available, Vitamin A stimulates fibroblasts which are cells responsible for creating tissue that keeps the skin healthy and firm. 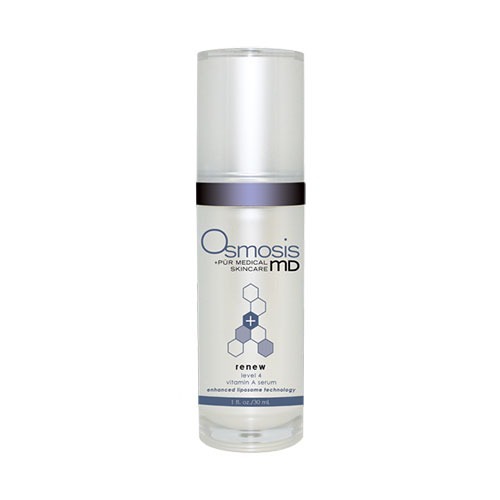 Osmosis MD Renew serum also utilizes the power of Vitamin A to protect the skin from UV damage and skin infection. Another high-quality rejuvenating ingredient contained in Osmosis MD Renew is Phosphatidylcholine. This active ingredient serves as a productive water-binding agent and helps penetrate other ingredients into the skin. It also absorbs well into the skin without any greasy after-feel. This ingredient also assists in repairing cell membranes within the skin. By including Osmosis MD Renew into your skincare regime, you’ll be feeding your skin the nutrients and minerals it requires to thrive and radiate with health and natural beauty. Shake lightly and apply 1-2 pumps to clean damp skin. Follow with your moisturiser. If this is your first Vitamin A product we suggest you begin using it every 3rd night, slowly increasing to nightly and then morning and night. This may take a few weeks. We always recommend applying sunscreen during the day to protect skin against sunburn and premature ageing. My new favourite Vitamin A serum (despite the slight yellow tinge it leaves on the skin surface). Already seeing rapid results – it’s dramatically smoothed my skin out… it’s almost as though it’s ‘tricked’ my skin into thinking it’s younger.